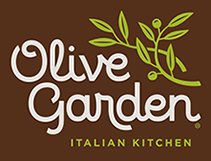 Visit your local Olive Garden located at Brookfield, Wisconsin for delicious Italian dishes perfect for the whole family. Whether you’re looking for freshly baked breadsticks or perfectly made pasta, Olive Garden has something for any appetite. We also offer fresh, hot and timely catering orders with delivery. We are conveniently located near W Bluemound Rd, opposite Brookfield Lakes Corporate Center just west of Brookfield Suare. To start dining on classic Italian recipes, visit our Italian restaurant at 18180 Blue Mound Road today!